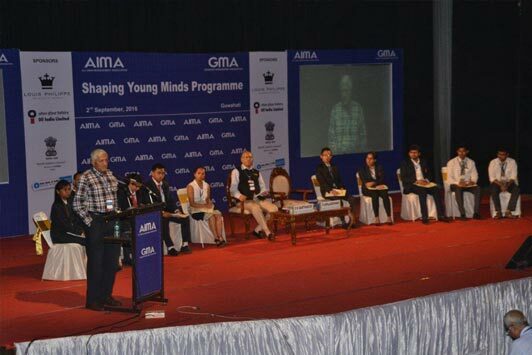 The 53rd Shaping Young Minds Programme (SYMP) was held at Guwahati in collaboration with Guwahati Management Association on 2nd September 2016. 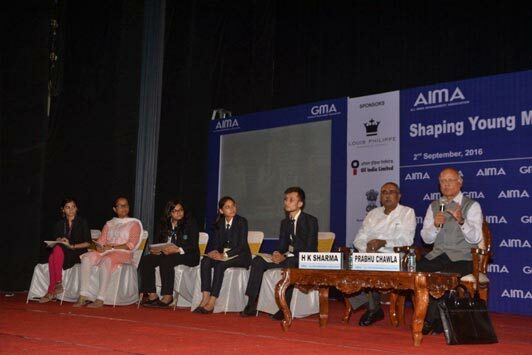 The speakers who addresses the audience include Mr R Gopalakrishnan,Former Director, Tata Sons & Past President AIMA, Mr Prabhu Chawla, Editorial Director, The New Indian Express Group, Ambassador Deepak Vohra, Veteran Diplomat, Mr Utpal Bora*, Chairman and Managing Director, Oil India Ltd. 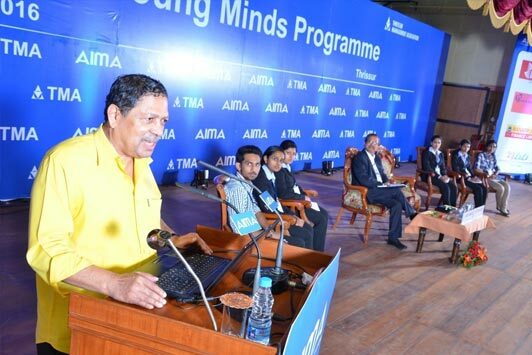 The next Shaping Young Minds Programme (SYMP) is scheduled at Thrissur in collaboration with Thrissur Management Association on 20th April 2016. 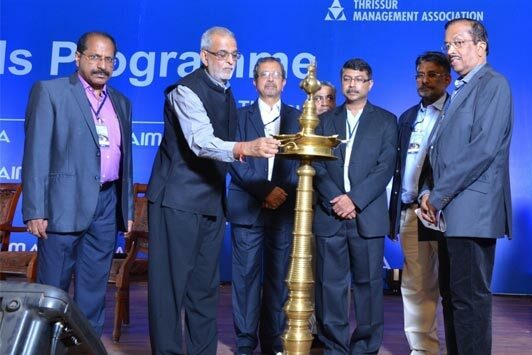 The speakers who shall address the audience include Mr Vijay Thadani,Vice Chairman & Managing Director, NIIT Ltd, Justice N Santosh Hegde,Former Lokayukta,Government of Karnataka, Mr D Shivakumar,Chairman & CEO - India Region,PepsiCo India Holdings Pvt. Ltd & Past President, AIMA, Ambassador Deepak Vohra,Veteran Diplomat & Special Advisor,Prime Minister of the Republic of Guinea Bissau, Ladakh Autonomous Hill Development Councils, Leh and Kargil.